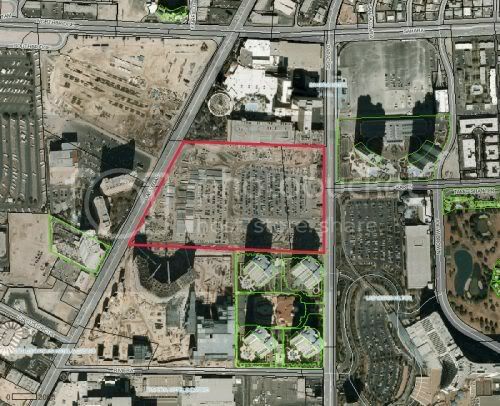 In mid 2006, Archon corporation announced it had an option sales agreement for it's approximately 27 acres of land on the Las Vegas Strip. The property, that had once been the location of Wet 'n Wild Water Park, sits between the Sahara Casino to the north, and Turnberry Towers and the under construction Fontainebleau Resort to the south. The original option purchase price for the land was $450 million, or about $16.66 million an acre. The purchaser was Austin, TX developer Christopher Milam. He proposed building one of the world's tallest buildings on the site. Las Vegas Tower was to be a 142 story, 1888' tall building with an estimated cost at that time coming in at $4.8 billion. 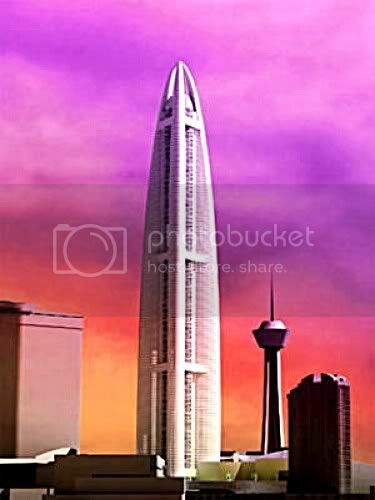 Much taller than the 1149' Stratosphere Tower just to the north, it was presented to Clark County officials for approval. With it's proximity to McCarran Airport the project had to be approved by the FAA. That began a long process that ran through late 2007. During that year, Australian gaming giant Crown Limited came on board as an investor and the project name changed to Crown Las Vegas. The FAA scaled the maximum height down to 1064', and initial approvals at that height were issued. Due to the delays the original option was amended to allow an extension, with the purchase price then set at $475 million, or approximately $17.6 million per acre. As the credit markets tightened in 2008 the project was announced as cancelled, and the option to buy the property expired in June of that year. This agreement also had Milam and his partners pay over $67 million in nonrefundable deposits. Now, in an interesting turn of events, comes a new purchase option for the property. This time the price raised to $618 million, or approximate $22.88 million per acre. The buyer is once again Milam according to a recent SEC filing by Archon. It appears Milam's LVT LLC has until March 31, 2009 to make a $1,000 deposit and purchase $60 million in stock of the land holding company. If exercised, the option agreement would run through March 31, 2010. A brief mention of this was in the Las Vegas Review Journal. 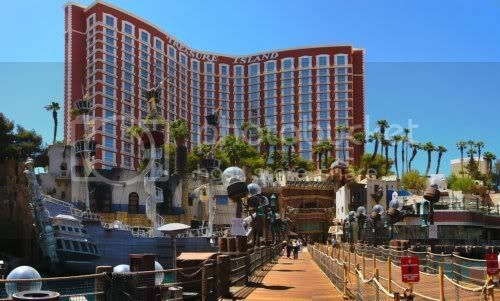 This comes just after the MGM Mirage announcement that former Frontier Casino owner Phil Ruffin has an agreement to purchase Treasure Island for $775 million. There's hasn't been any mention of how much land will be involved in that transaction, so no price per acre that I'm aware of at the moment. It would appear with these and other announcements, like the Park Heights mixed use project, there is continued interest and investment in the future of the Las Vegas Valley. 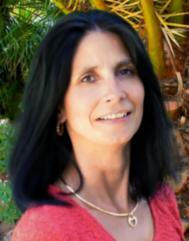 Great scoop Roberta! I didn't hear about this one and for that kind of cash you would think it would be news. HAPPY NEW YEAR! Bob: I was a little surprised this didn't get a little more media attention, especially in today's market and economy. Hope you have a Happy New Year, as well! Bad news is the only thing that makes the headlines I suppose. Doing that only prolongs the problem sure doesn't help it. Bob: You're right, gloom sells newspapers. The sooner everyone stops dwelling on what happened and starts moving forward, the faster a recovery. The storm blew through and the damage was done. The choice now is to sit around and mope, or start to rebuild. By the time I get back to Las Vegas, it will be a totally different city. Today is the first day of the rest of your life -- make it a good start. Jim: Without a doubt. I live here and there have been times I've been surprised with the changes!